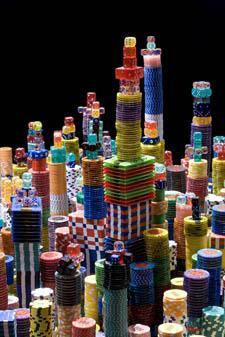 Artist Liu Jianhua's new exhibition in Italy features a model of Shanghai's skyline, in poker chips and dice. The piece is titled Unreal Scene. Coolhunting has all the details.